This is the animal charity in the Torrevieja area, the kennels are based at Vereda del Pozo 48, 03150 Dolores. Telephone 966 710 047. They have two charity shops selling a wide range of second hand clothes, household items and bric a brac, The shop at Guardamar del Segura is near the Tourist information centre near the town Square, and the shop in La Marina is behind the Deutsche Bank at Plaza Sierra 47. ( behind The Bodega). The shops are open Monday to Saturday 9:30-14:00. and donations of items can be taken to the shops. S.A.T. have a website, which is full of usefull infornation - see the links on blog home page. 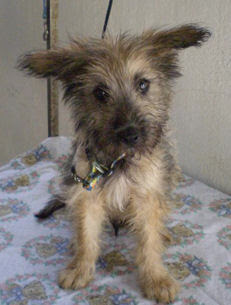 If you would like a dog or a cat, please have a rescued animal from the Dolores kennels.